But sometimes knowing when a protest ground is untimely can be difficult. 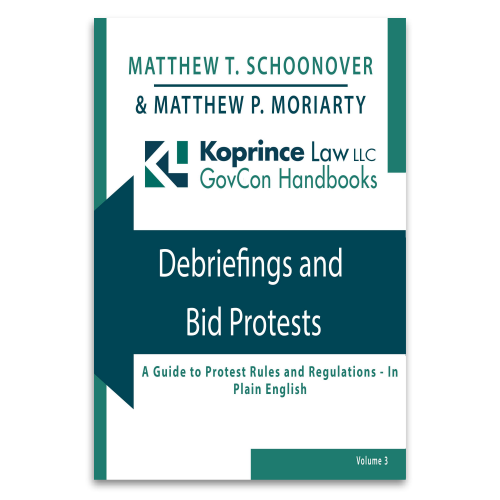 For instance, where a protester should have known the basis for protest based on an inference from a debriefing response and its incumbent knowledge, does that debriefing start the 10-day protest clock running? A recent GAO decision answers that question in the affirmative. 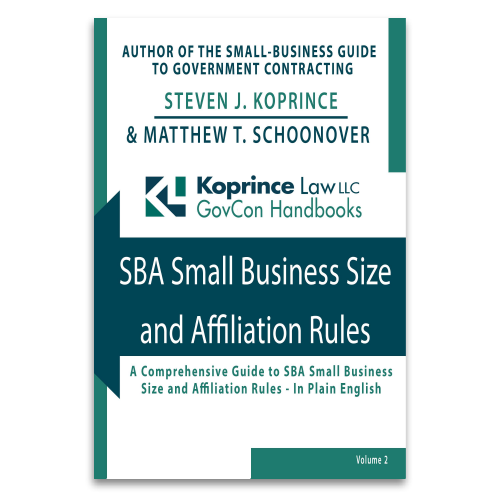 An agency was justified in canceling a small business set-aside solicitation–and reissuing the solicitation on an unrestricted basis–where the agency determined that the prices offered by small businesses were too high. In a recent bid protest decision, the GAO confirmed that while the FAR’s “rule of two” set-aside requirement provides a powerful and important preference for small businesses, it doesn’t require an agency to pay more than fair market value for products or services. A procuring agency need not inform an offeror, as part of discussions, that the offeror’s price is higher than those of its competitors. According to a recent ruling of the Court of Federal Claims, the only exception is if the offeror’s price is so high as to preclude award to the offeror–an “unreasonable” price, in FAR parlance. The Court’s decision in Lyon Shipyard, Inc. v. The United States (Nov. 27, 2013) comes on the heels of a recent GAO decision reaching a similar result. Unbalanced pricing can justify the exclusion of a contractor’s proposal, even if the contractor alleges that the pricing represents its actual cost structure. As demonstrated in a recent GAO bid protest decision, an agency is justified in rejecting a proposal on the basis of unbalanced pricing when the agency reasonably concludes that the unbalanced pricing poses an unacceptable risk to the government. When a contractor is declared the winner of a competition, the contractor’s bottom-line pricing is usually revealed to competitors. Typically, the winner has no complaints: it is well-understood that the bottom-line pricing of winning contractors is usually considered public information (the taxpayers have a right to know how the government is spending their money). But what if, after announcing the supposed awardee’s price, the agency changes its mind and re-opens the competition? The price of the former “winner” is exposed, while the prices of its competitors remain a mystery. It sounds unfair, but in a recent GAO bid protest decision, the GAO refused to require the procuring agency to level the playing field. When, in discussions, a procuring agency tells a contractor that an aspect of the contractor’s proposal is a weakness, the natural response is to correct the problem. In one recent GAO bid protest decision, however, correcting a weakness may have cost a contractor a $30 million award. In GAO Protest of EMR, Inc., B-406625 (July 17, 2012), the procuring agency informed the contractor that certain labor rates appeared low in comparison to other offerors’ rates, and labeled the low rates a weakness. In response, the contractor raised the rates in question, thereby increasing its overall price–then narrowly lost out on a low-price, technically acceptable contract. The GAO’s verdict? The agency did nothing wrong.